I finally completed the wall decal. Yes it took weeks or even months but I think the final results are so worth it. 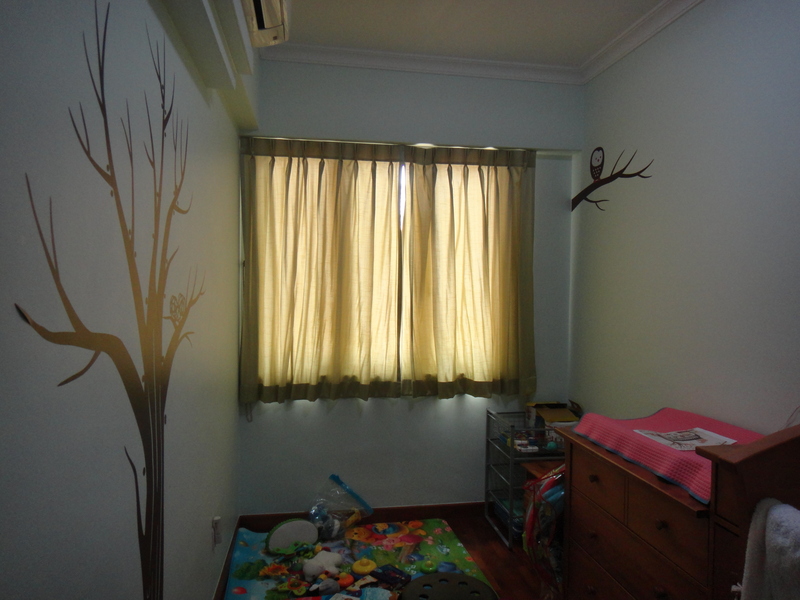 Sophia’s room is now a happy place with lots of forest friends to keep her company. 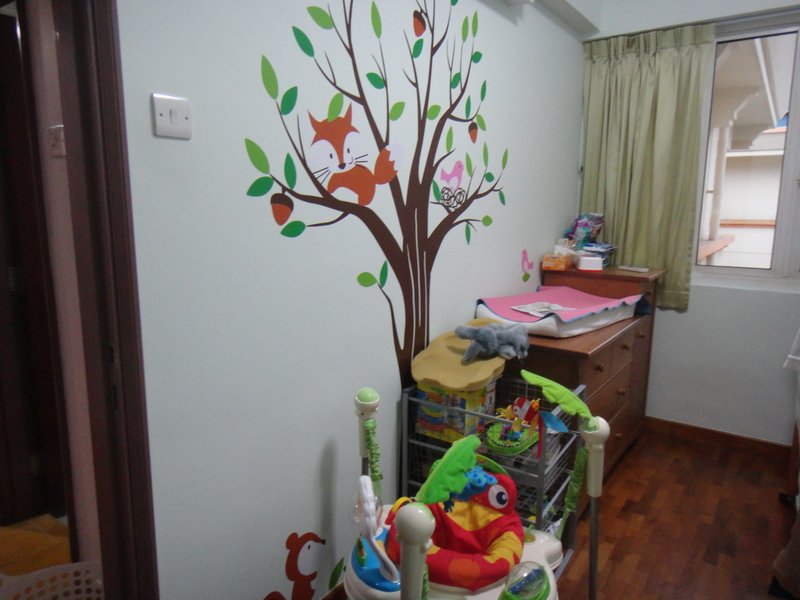 The gradual addition of decals is actually good because there’s always something new to interest her in her room. 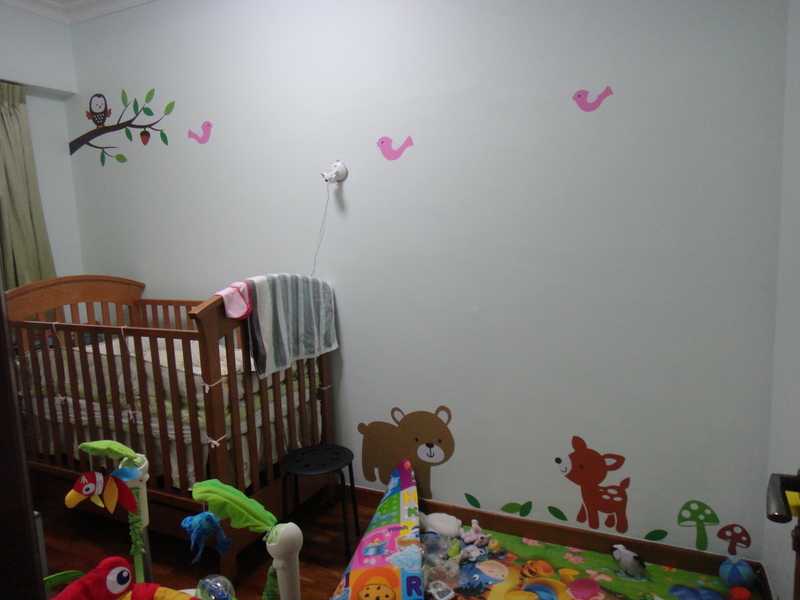 An entire weekend has passed and this is all I have to show in terms of improvements to Sophia’s nursery. 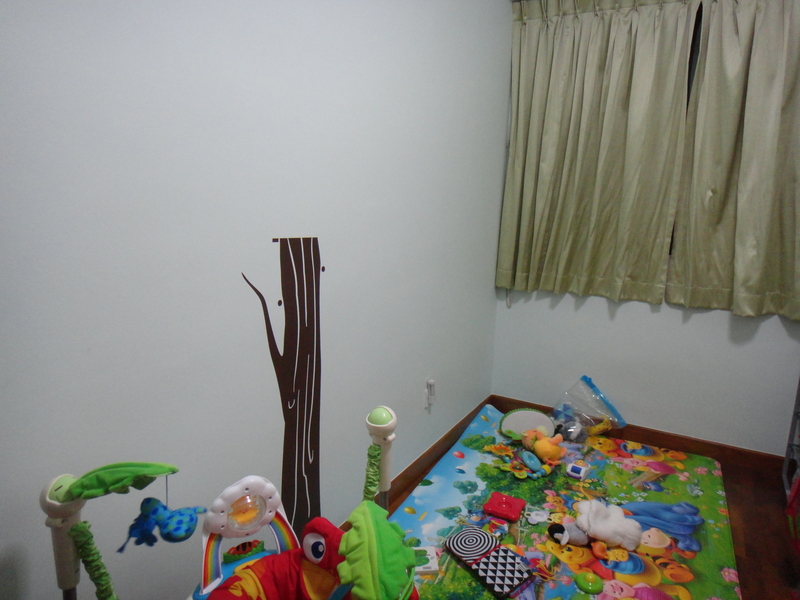 And this is with the daddy’s help on saturday. But these are really the difficult parts I need help on so from now on whenever I can find a moment where Sophia is not in that room and is taken care of by another person I can continue the work. 1) acrylic nails – the technician insisted on giving me pink and silver nails over my choice of cream and gold, which I did quite like initially too but am quite sick of 2 days into it. 2) cupcakes/muffins – I’ve been trying for the longest time to bake cupcakes but they always come out as muffins ie with rounded tops instead of flat ones. Today I tried baking muffins with a basic recipe from the trusty Edmunds cookbook and, what do you know, the muffins came out with relatively flat tops! Guess basic things work best after all. Or not, since these are supposed to be muffins. In any case, they got the stamp of approval from the hubby, which is a good thing as far as I’m concerned. Though to me they still need some tweaking. Less baking soda and a different brand of wholemeal flour (a more finely ground one) next time. Half a trunk for half an hour of hard work. Gambette! 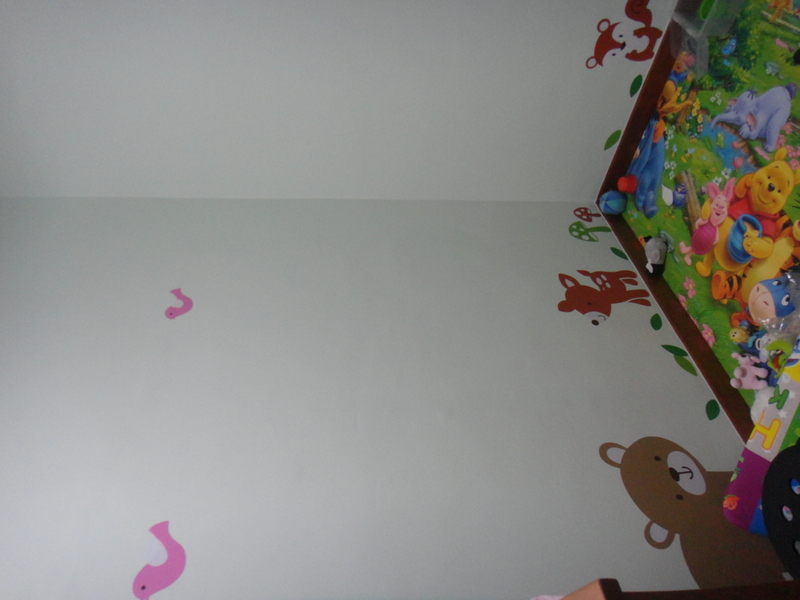 Lots more work to do before the nursery wall art is complete!